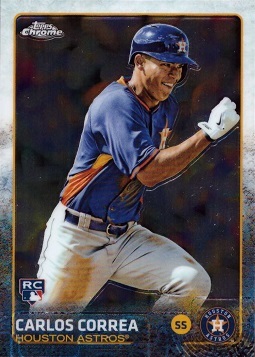 This is an official Carlos Correa Rookie Card, produced by Topps Chrome Baseball in 2015. This is a short print card, meaning it's far more rare than the regular Topps Chrome cards. Inserted only 1 per case.